The relative increase in the number of countries seeking nuclear weapons represents the defining threat to humanity, thus making non-proliferation a vital goal of international relations. The nuclear order created by the Non-Proliferation Treaty (NPT) – the signature achievement of the Cold War – has been challenged by a variety of new contenders whose fitness to steward a nuclear arsenal has been questioned. How to deal with these new proliferators and craft strategies of rollback has become the singular preoccupation of the Second Nuclear Age debate. International Relations (IR) theory of proliferation postulates that assuming rationality, players would respond to the proliferation of a relevant actor by developing their own nuclear arsenals. This theory is based on the rational choice model, emanating from the history of the Cold War which essentially serves as an empirical model which validates proliferation theory. In other words, the perceived utility of a nuclear arsenal is the key variable in the decision of a state to proliferate. Thereof, realists predict that security policies compel states to achieve nuclear weapons. Arguably, the proliferation theory did not predict the events correctly. The time when the theory was conceived (during the Cold War) there was nothing technologically equivalent to Terminal High Altitude Area Defense (THAAD) system. To begin with, THAAD is a recent addition to US anti-ballistic missile toolkit developed by Lockheed Martin Corporation in 2008. The system is designed to smack down threatening ballistic missiles at endo- and exo-atmospheric altitudes as they zoom downward to the earth, in what is known as the final or “terminal” phase of their trajectory. Using the largest Army Navy/Transportable Radar Surveillance (AN/TPY-2), THAAD is capable of intercepting and destroying short, medium and intermediate range ballistic missiles at 200 kilometers above the earth and maximum engagement altitude of roughly 150 kilometers. Still, military experts believe that shooting down a supersonic nuclear warhead in the midcourse phase at a speed of 4.34 miles per second (three times higher than the international space station) is extremely difficult, mostly because of what is known as the midcourse discrimination. After a ballistic missile is launched, infra-red satellites sensors are able to detect it by its hot engine. But the task is further complicated when the missile’s engine burns out in what is called exo-atmosphere where it reaches its maximum speed. At this point, the missile’s body and the flying junk pile of debris, decoy and other counter-measures which are created to confuse the missile defense system would separate from the warhead. For the missile defense system to successfully target the nuclear warheads delivered by Intercontinental Ballistic Missile (ICBM), it should differentiate the real warhead from decoys. Ground-based sensors are not able to detect the warhead mostly because they are limited by the curvature of the earth, but air or space-based infra-red sensors might be a good complement. To this end, the Ground-based Midcourse Defense system (GMD) is a more effective alternative to THAAD which according to military experts has the ability to discriminate ICBM warheads from debris. The system consists of 30 Ground-Based interceptors currently deployed at Alaska and California devoted to shielding the U.S. homeland from long-range ballistic missile attacks. To overcome the weakness, the Lockheed Martin Corporation announced that it works on developing the system to the extent that its radars have the ability to discriminate ICBM warheads from debris and decoys similar to that of GMD. Pentagon also hinted that it would work on the possibility of deploying air or space-based infra-red sensors. The THAAD manufacturer also works on extending its interceptors’ range to greater than 400 kilometers (Similar to the Russian S-400) with a maximum speed of 15 Mach which could potentially provide nearly a comprehensive defensive coverage against incoming nuclear warheads. If developed as such, THAAD will be more rightly viewed as a hedge against the proliferation of nuclear weapons. Intelligence community estimates that more than 25 countries are seeking to acquire nuclear weapons and their delivery systems as deterrence against their adversaries. Having THAAD system deployed may dissuade these countries from rolling forward to nuclear weapons to match their enemy’s nuclear arsenal. Military experts also argue that the THAAD system can dissuade rogue regimes from pursuing aggression in the first place. 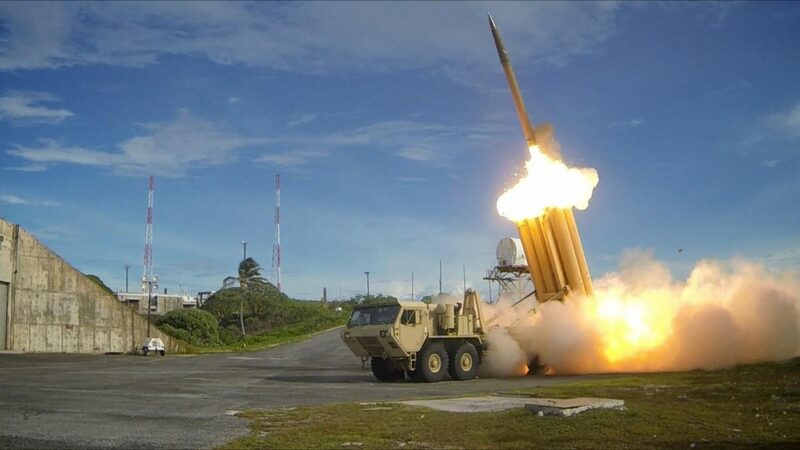 The aggressor would take a strong probability into consideration that retaliatory capabilities of the target country would survive intact as a result of the THAAD defensive system. THAAD has already been deployed to Hawaii and Guam to shield the United States mainland. It also deployed to Japan and South Korea to protect them against the North Korean nuclear threat. THAAD was basically deployed to these two countries when North Korea has successfully assembled a miniaturized nuclear warhead on top of its missiles. Similarly, the THAAD AN/TPY-2 warning radar station deployed in the Negev desert in Israel and at Kurecik Air Force base in Turkey to dissuade their fear about Iran’s missile and nuclear threat. On 27 May 2013, Oman also signed an agreement with the United States for purchasing of the defense system. The United Arab Emirates also procured two THAAD units in 2015, and in 2016. Washington also signed a multi-billion dollar military aid package with Saudi Arabia that included the THAAD missile defense system to dissuade Riyadh’s fear about Iranian nuclear program. Taiwan officials also hinted that they would deploy the system to Taipei. China and Russia voiced strong objections over the deployment of the AN/TPY-2 radar systems in Europe and East Asia precisely because it would act as a deterrence against nuclear aggressors. It would also significantly degrade their nuclear second-strike capabilities. The advent of such a sophisticated defense technology may dissuade actors from immediately embarking on proliferation efforts in order to obtain their own nuclear deterrent. The fact that some countries (i.e. South Korea and Saudi Arabia) did not rule out the possibility of suspending their nonproliferation commitments under the NPT if THAAD becomes unavailable for them, reflects a tacit recognition that the system is a realistic option that can ease some of the security concerns of the would-be proliferators. 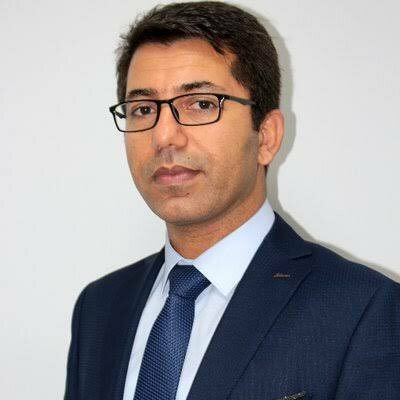 Farhad Rezaei has Ph.D. in Defense and Strategic Studies. He is a member of the Association for the Study of the Middle East and Africa (ASMEA) at Washington DC, USA, and the co-author of Iran, Israel, and the United States: The Politics of Counter-Proliferation Intelligence, Rowman & Littlefield, NY. His writings have appeared in Harvard-Iran Matters, Atlantic Council, the National Interest, Middle East Policy, Journal of International Affairs among others.